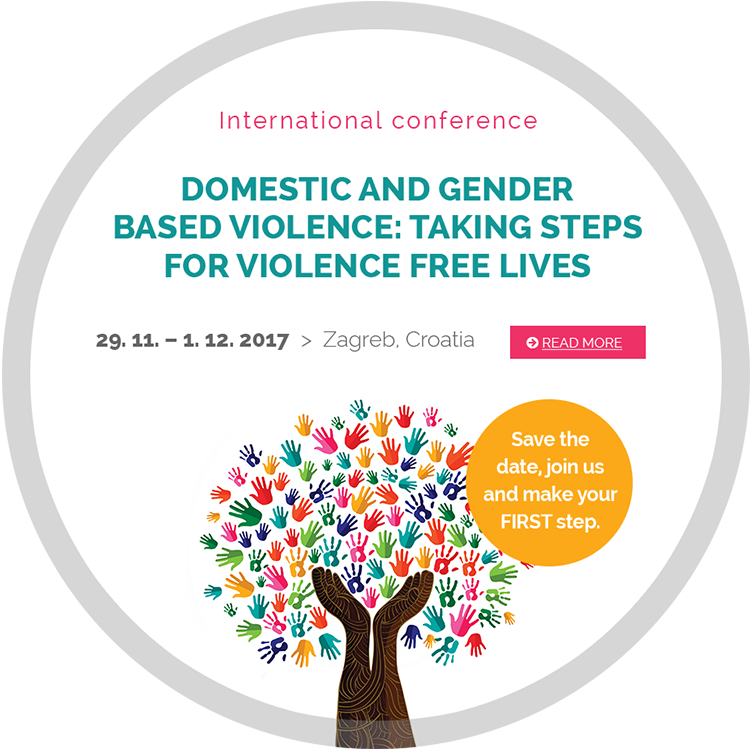 We are only one day away from the beginning of the final international conference “Domestic and gender based violence: Taking steps for violence free lives”, that will take place in Zagreb between 29 November and 1 December 2017. We are very happy that we will be able to share knowledge and experiences with more than 150 participants. It is important to connect and work together to encourage and implement much needed changes in the field of domestic and gender based violence. 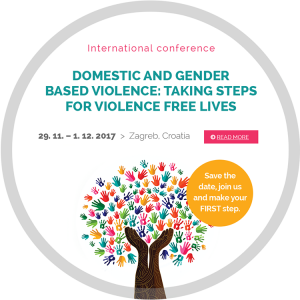 A variety of topics and good practices are going to be presented by professionals with specialized knowledge and many years of experience working in different professional areas involved in domestic and gender based violence prevention, psychosocial and psychotherapeutic work with victims of violence, community work coming from Slovenia, Croatia, United Kingdom and Bulgaria. Together we will address also existing problems and challenges in ensuring suitable help and support for the victims of violence and try to find relevant solutions. Today is the day we can all make a step towards a violence free society!